Buckle House in Gatehouse of Fleet, near Kirkcudbright, Dumfries and Galloway sleeps 6 people. 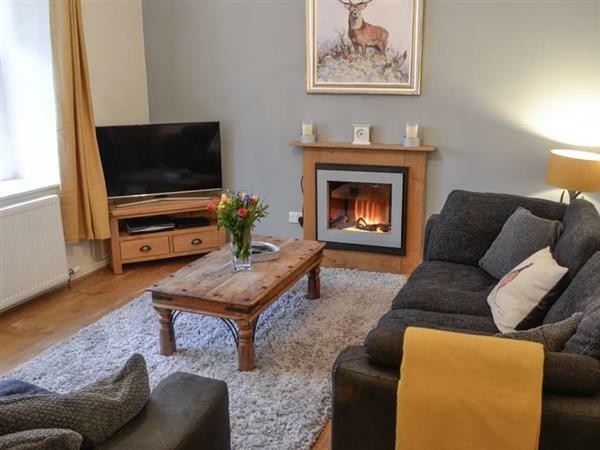 Buckle House near Kirkcudbright is set in the heart of the small thriving town of Gatehouse of Fleet, in this delightful and peaceful corner of Dumfries and Galloway. Buckle House gets its name from its past as it was once a shoe shop! This terraced house is warm and inviting from the moment you step through the door. From the cosy living room with comfortable sofas through to the lovely dining room, then on to the kitchen which opens up to a sun room with views over the garden. The bedrooms on the first floor are tranquil ensuring a good night sleep. The garden is just heaven for your four-legged friend, totally enclosed yet with direct access through a gate at the bottom onto Garries Park where you will find the paths that take you into Cally Woods. There are many attractions in and around the town including the Mill on the Fleet Visitor Centre, Cardoness Castle and the popular Laggan Outdoor Activity Centre, which is host to one of Europe’s longest zip wires. For a more laid back day there are delightful beaches within only a few minutes’ drive, including Mossyard and Carrick. The area has numerous walks available, from scenic coastal walks to forest trails. With sailing, swimming, horse riding, fishing, golf, boat trips and water sports close by, there is something for everyone. Warmed by the Gulf Stream, there are many beautiful gardens to visit, including Threave Garden (National Trust). Close to the Galloway Forest Park, home to the first Dark Sky Park in Europe, and central to 5 of the 7Stanes at Kirroughtree Forest and Dalbeattie Forest, it is a popular location for cyclists and mountain bikers. Kirroughtree has some of the best technical singletrack mountain bike trails in Scotland. Only a short drive away, Kirkcudbright, known as ’the artists’ town’, attracts visitors throughout the year drawn by the harbour, the historic high street and the diverse range of annual events and visitor attractions. The popular programme of summer festivities culminates with the spectacular Tattoo, an event not to be missed. There is a beach 5¼ miles from Buckle House near Kirkcudbright. With the shop and restaurant 100 yards, and the pub is 300 yards from Buckle House. Living room: With electric fire, 43 Freeview TV, DVD player, Bluetooth stereo speaker and wooden floor. Kitchen: With electric oven, electric hob, microwave, fridge/freezer, dishwasher, washing machine, tumble dryer and wooden floor. Gas central heating, gas, electricity, bed linen, towels and Wi-Fi included. Travel cot. Welcome pack. Large enclosed lawned garden with patio, summerhouse and garden furniture. Bike store. On road parking. No smoking. Please note: There are 3 steps in the garden. Holidays at Buckle House run from Friday to Friday. Pets allowed at Buckle House. For a better idea of where Buckle House is, you can see Buckle House on the map below. 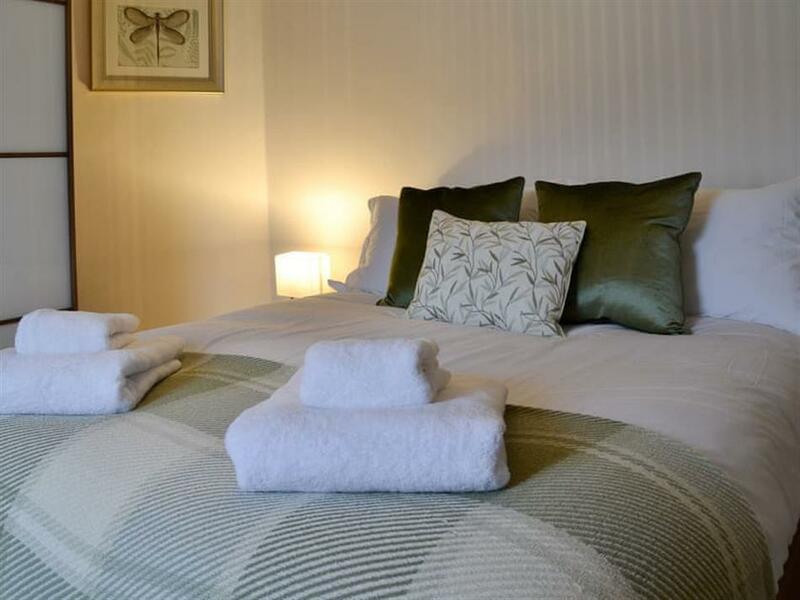 Buckle House is in Kirkcudbrightshire; should you be on the lookout for a special offer, you can find all the special offers in Kirkcudbrightshire. It's always worth checking to see what is on offer at the moment. Do you want to holiday near Buckle House (UK10675), you can see other cottages within 25 miles of Buckle House; have a look to find your perfect holiday location.